UrbanGrowth NSW is working in partnership with Transport for NSW to facilitate the renewal of the North Eveleigh West site, located within the Redfern-Waterloo Authority Sites State Significant Precinct (SSP). The Redfern-Waterloo Authority Site SSP contains large areas of government-owned land that are of state importance in achieving key government policy objectives, particularly those relating to increasing delivery of new housing and jobs. North Eveleigh West is a key site within this precinct. 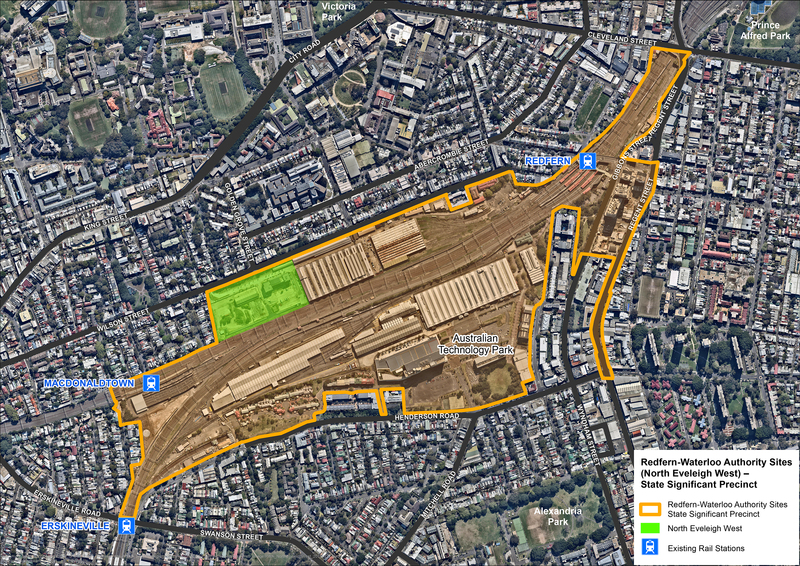 The 2.9 hectare site is located 3km south-west of Sydney CBD at Wilson Street, Eveleigh and is primarily owned by RailCorp. Existing uses on the site include an affordable residential apartment building, the historic Clothing Store building, newly constructed roads and vacant land. A Part 3A Concept Plan was approved for the site in 2008 which provided approval for a range of residential uses. The applicant is now seeking to make changes to the plans for the site. Technical studies and master planning to support the new plans commenced in 2015. A number of technical studies have been completed and UrbanGrowth NSW has consulted with the local community to help shape the plans for the site. Study requirements for this rezoning investigation have been prepared in consultation with state agencies and council, and have been issued to UrbanGrowth NSW. UrbanGrowth NSW in partnership with Transport for NSW is conducting a review of the investigations completed to date, against the study requirements. The review will identify any additional work that needs to be undertaken. Once a final proposal that addresses all of the study requirements is lodged with the Department of Planning and Environment, this proposal will be publicly exhibited and the community will be invited to make formal submissions. The Department will consider all public submissions in assessing the proposal.